You are in a hurry to use the one outfit that you love, you quickly throw it in the machine with some other dirty clothes too. This is one of the most common mistakes people make when washing clothes. If you want to look after your clothes and keep them for longer you should avoid this habit. Here are the top ten mistakes when washing clothes and how to avoid them with tips from the experts. It seems silly, but the washing symbols exist just so that you understand what is the best way to save and preserve that item of clothing. Ignoring these instructions may lead to do something that can cause irreparable damage to the clothing item. White clothes should never be washed with colored ones. If you do, it is highly likely that the lighter clothing items will be stained. Although the coloured clothing may not realese ink, the white clothing items gain a yellowish appearance by coming into contact with our darker clothing items. Clothes for personal use should be washed separately from pieces of kitchen tea-towels, cleaning cloths, and blankets for animals. Tablecloths and dishcloths usually have food and grease residues and can stain other clothes. Wipes and blankets animals carry the toughest of dirt and need a heavier type of washing, which can damage ordinary clothes. Heavily soiled parts require more work and a more aggressive washing process, getting more worn. With a little dirt, there is no need to go through a heavier wash, ie, it is an injury that can be excused. The ideal is to wash heavily soiled separately. Understand that it is not the excess soap that cleans your clothes, so do not abuse the quantity. The more you put detergent in the clothes, the more they need to be rinsed and may fade. Also, in case you get some residual foam in pieces, people may have a sensitive skin allergy. Some washing machines use hot water, which helps a lot in cleaning. However, people do not use it correctly. Note that the new washing machines have the pre-wash phase in which the water is not heated because stains and dirt must be removed first with cold water. 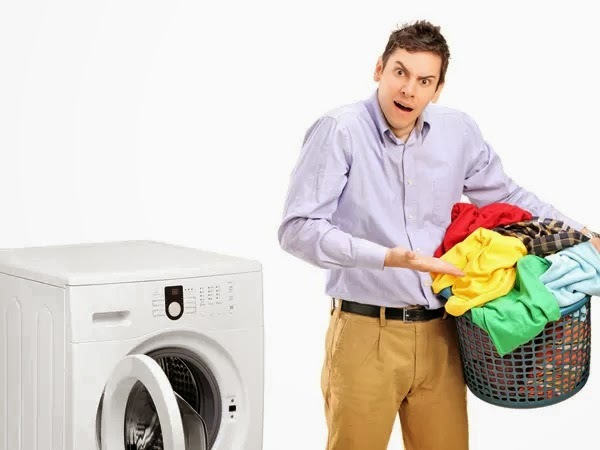 If you put hot water in the first wash, instead of removing stains and dirt you can make them worse, with the end resulting in an apparent stain. So it is important to always use the pre-wash with cold water and then use hot water to complement the cleaning process. Do not believe in miraculous tricks for stain removal. There are fabrics that fade and fray even with the use of unsuitable products or homemade clothing items. Extremely soiled items need to soak. Furthermore, the contact of the clothing with water and soap for too short of time may cause stains or fade the colors. This is indispensable, you do not need to use a large amount as washing hardens the fibers of clothing, which makes them unpleasant to touch and more difficult to wear. Fabric softener can help with this. One of the most common mistakes is to wear the clothes without having washed them. Even though they may appear clean there may be some less obvious dirt and the hot iron can leave a permanent nasty stain.